Set on the western side of the island, Ghasri is the smallest village in Gozo. A small square lies at the heart of this peaceful and sleepy little village, with rustic farmhouses, traditional shops and a charming little chapel. The warmest months in Ghasri are between July and September with temperatures reaching 30℃. 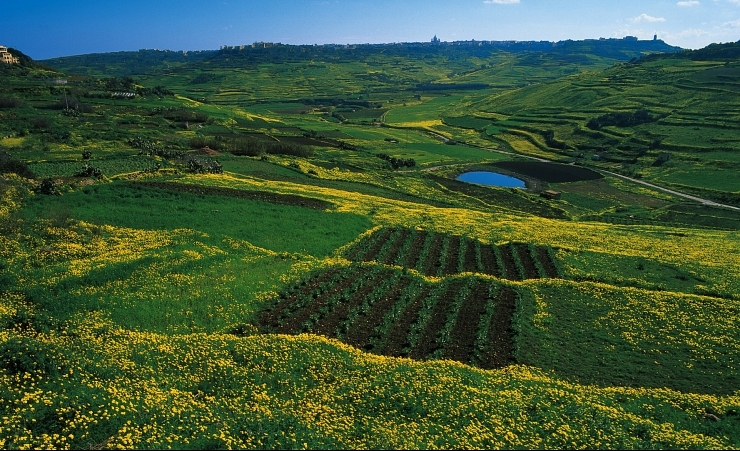 Most of the rainfall on Gozo island and in the Mediterranean falls in the winter months, which are also the coldest. Temperatures in January can drop beneath 10℃. The Giordan Lighthouse on Gurdan Hill was built in 1853 and rises over 180m above sea level. The hill on which it is found gives spectacular (not to mention 360٥!) views of Gozo island. Ghasri Valley (also known as Wied il-Ghasri) is the perfect place for a walk or to cycle and ends in the sea which attracts many divers and swimmers. The pebbly beach is small and doesn’t hold many people, but it is a must-see. For such a small island, Gozo and Ghasri are home to many beaches including Mgarr ix-Xini, a small secluded bay perfect for snorkelling and Marsalforn Bay, a popular seaside location with soft sand to laze on in the high season. Two other options include San Blas, a secluded red sand beach with clear water perfect for swimming and Dwejra Bay, home to the Azure Window and a small lagoon connected to the sea. There are also many opera’s taking place all throughout the year. Whether you’re looking for traditional Mediterranean food or other cuisines, Gozo isn’t short of restaurants to choose from. Take a trip to Marsalforn and Qbajjar Bay to try the Qbajjar seafood restaurant that’s popular with visitors and locals alike. Here, cafes and bars stay open late for a sociable drink but Gozo as a whole is not the place to go for late-night partying. Instead, it’s a place to spend time relaxing. Take a trip to Reqqa Reef Point to dive with rays and barracudas in the crystal clear water of the Mediterranean or enjoy watersports like diving, snorkelling and jet skiing on local beaches. Public buses are available all around Ghasri and can take you to neighbouring towns for day trips. The hop-on-hop-off open top tour buses are also available to take in the main sights, all in one day. Taxis are also available, and some even offer tours for competitive prices. For those who want independence while visiting Ghasri, cars, motorbikes and boats are all also available for rent.